Dominant strings set for violin in size 3/4. 135B - medium tension, synthetic core. Ball-end E string. Please call us at 609-683-0005 if you have any requests or questions. 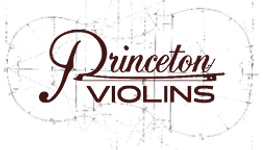 We can help you select the best strings for your violin. Even over the phone. Please visit for a free consultation.